Dubai: Costa Rica is all set to become a model for global sustainability as it aims to become the world’s first carbon neutral country by 2021, with an estimated 98 per cent of its electricity generated from renewable sources. The Costa Rican government officials speaking at the seventh World Government Summit (WGS 2019) highlighted the ambitious programme, outlining their commitment to an economic policy with an environmental conscience and focus on its people. Speaking at the summit Maria del Pilar Garrido Gonzalo, Minister of National Planning and Economic Policy, Republic of Costa Rica, said: “Our vision is to have sound governance and strong institutions by investing our money not in an army, but in education, health and in our people. People are the most important investment we can make as a government,” she said. The Central American nation abolished its army in 1949, channelling its savings from defence spending towards education, health care and social security. In the search for sustainable social security, Roman Macaya Hayes, President of the National Social Security Authority of Costa Rica, said that the Latin American country faces two major challenges: a rapidly ageing population and rising public health care expenses. Felipe Carazo, Executive Director of Fundecor, emphasised the importance of public-private partnerships in promoting new, profitable and sustainable business models for the efficient use of natural resources. 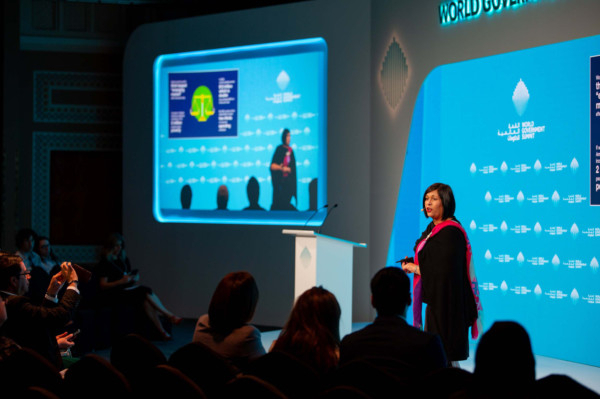 The three-day World Government Summit 2019 being held in Dubai ends on Tuesday.